Dr. DiLallo is a licensed Chiropractic Physician, and a graduate from Palmer College of Chiropractic (FL campus). While attending Palmer, Dr. DiLallo served as the Vice President of the Sports Council Club where he worked with local athletic event organizers to minimize injuries to participants with pre and/or post event treatment. Dr. DiLallo had the opportunity to provide treatment to the athletes competing in the Crossfit SouthEast Regionals and the RAGNAR Relay from Miami, Fl to Key West, Fl. Growing up in Palm Beach County, Dr. DiLallo attended Wellington High School, where he played football and received all county and state honors. After being noticed by several Division 1 programs he decided to continue his career at the University of Colorado. While attending CU, as the 4 year starting punter he set new standards in the Big 12. In his first year at CU, Dr. DiLallo was a Freshman 1st team All American and set records that still stand at both CU and in the Big 12. Dr. DiLallo received his Bachelors Degree in Physiology from the University of Colorado. He then attended the University of South Florida where he obtained his Masters Degree in Exercise Science. During his time at USF he completed an internship with the Strength & Conditioning Department where he worked primarily with the USF Football, Baseball, and Track and Field teams. 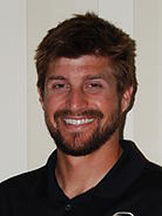 Before entering Palmer College of Chiropractic, Dr. DiLallo worked as a Strength & Conditioning Coach for the Pittsburgh Pirates working with their minor league teams located in Bradenton, Florida. Currently, when not in the office, Dr. DiLallo works as a Punting and Kicking Coach working with high school and collegiate level kickers and punters with 4th Down Solutions and OneOnOneKicking. Dr. DiLallo's experiences have given him the opportunity to work with and coach numerous professional, collegiate, and high school athletes.